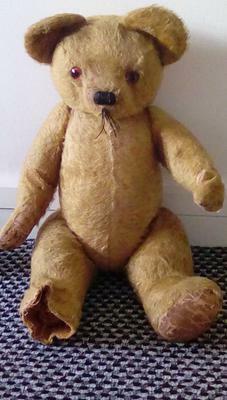 I found this beautiful bear in my loft when I moved into my first property 26 years ago. He has glass eyes, is stuffed with wood wool, he has fully movable arms, legs and head. He is 24 inches tall and apart from the damage to one paw and one foot he is in amazing condition. I would be so grateful if anyone could give me any information or suggest someone who i may be able to take him to for more details, I live in west Yorkshire. I believe your bear is a English Chad Valley bear. 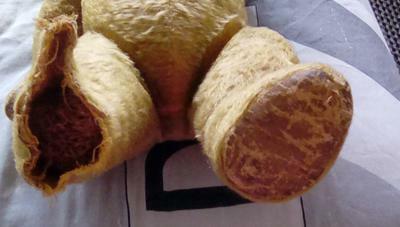 What a lovely old bear but his foot does look rather horrific like that. 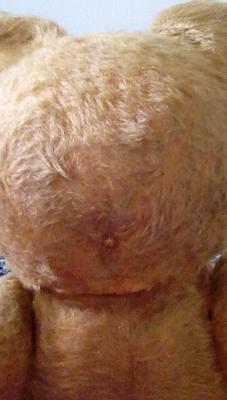 I don't know if you know but there are people who can repair old teddy bears. Look up teddy bear hospitals and you will find them if you are interested. These are all identifying features. Looking through my books I wonder if he is an early Chad Valley bear but I can't say for certain.